Goodmorning lovelies! New Outfit Ideas post; today I've created a really casual glam-rock look using a really cool David Bowie tee and a pair of animal print red trousers. 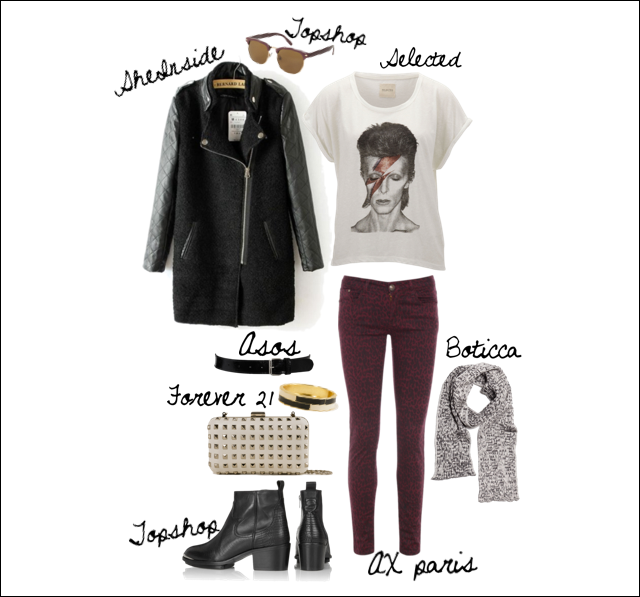 I've added a studded clutch, a pair of comfortable Chelsea boots and a jacket with fake leather sleeves. What do you think about the whole Outfit? What would you change? Buongiorno! 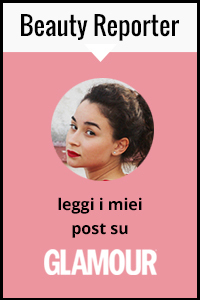 Ecco un nuovo post per la mia rubrica Outfit Ideas; oggi ho creato un look casual, glam-rock abbinando una tee-shirt con David Bowie troppo cool ad un paio di pantaloni rossi/borgogna con stampa animalier. Ho aggiunto una clutch borchiata, un paio di Chelsea boots ed una giacca ( che amo ) con maniche in ecopelle. Che ne pensate? Cosa cambiereste? Beautiful selection. The coat is amazing. This is a great outfit idea girl! It's very well put together! I hope you like my latest posts as well :) ! Love each and every one of the items you have here!! Ciao! Mi piace molto questo outfit!